We will add the latest results as they become available for IDEA project. The current version of the manuscript can be read here. Updated results including additional users for distracted eating patterns can be found here. 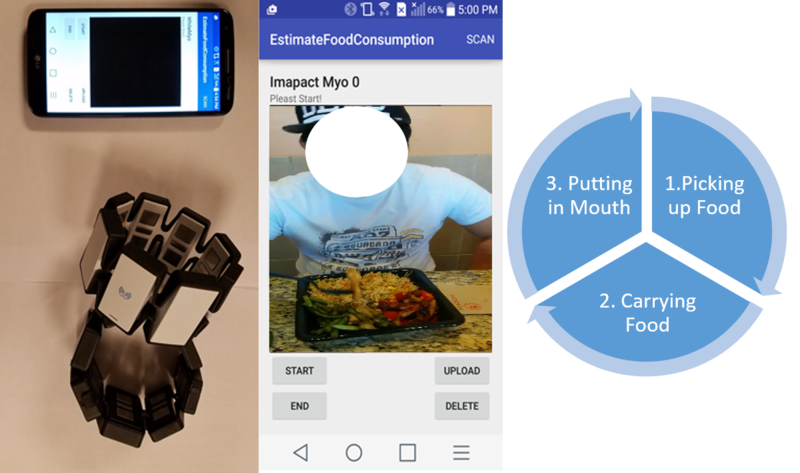 Eating activity monitoring using wearable sensors can potentially enable interventions based on eating speed to mitigate the risks of critical healthcare problems such as obesity or diabetes. Eating actions are poly-componential gestures composed of sequential arrangements of three distinct components interspersed with gestures that may be unrelated to eating. This makes it extremely challenging to accurately identify eating actions. 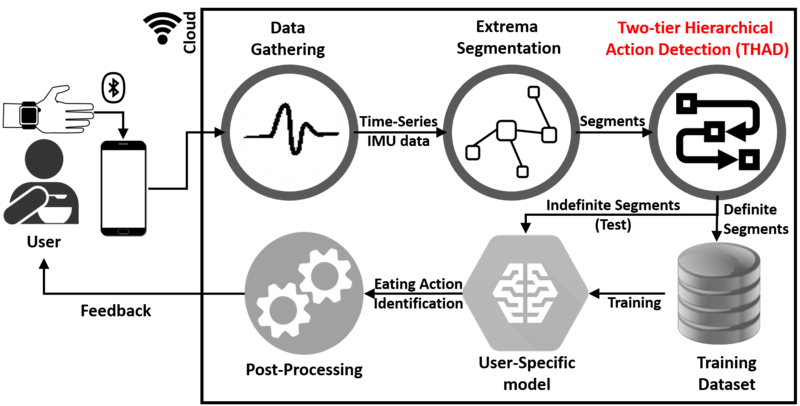 The primary reasons for the lack of acceptance of state-of-art eating action monitoring techniques include: i) the need to install wearable sensors that are cumbersome to wear or limit mobility of the user, ii) the need for manual input from the user, and iii) poor accuracy in the absence of manual inputs. In this work, we propose a novel methodology, IDEA, that performs accurate eating action identification within eating episodes with an average F1-score of 0.92. This is an improvement of 0.11 for precision and 0.15 for recall for the worst-case users as compared to the state-of-the-art. IDEA uses only a single wrist-band and provides feedback on eating speed every 2 minutes without obtaining any manual input from the user.